An early antique adjustable milliners hat stretcher/block. A wonderful & early piece made from a single lump of hardwood (probly elm) with a fantastic grain & depth of colour. 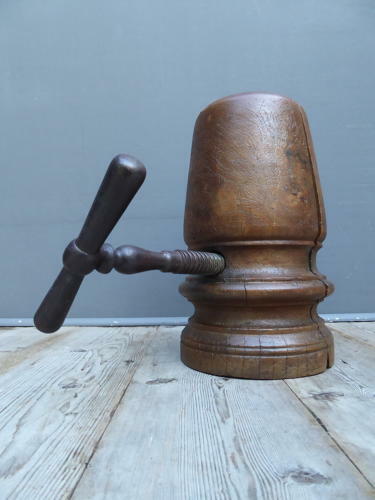 An exceptional example, finished with some beautiful metalwork & a patinated cast iron handle. So decorative! Wear commensurate with age, good solid condition & working order, block sticks a little as they all tend to but does open & close fully.